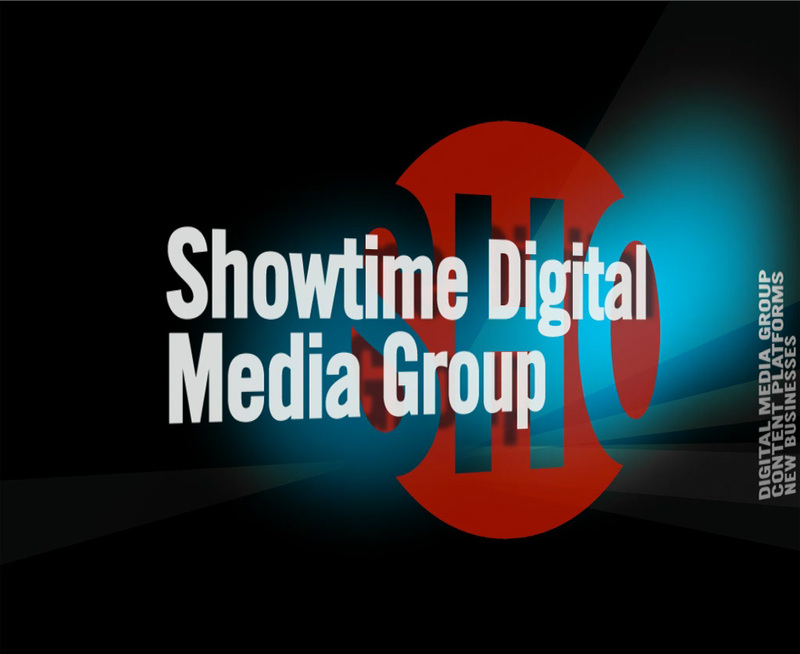 The Showtime Digital Media Group needed a capabilities presentation that was as forward thinking as their initiatives. 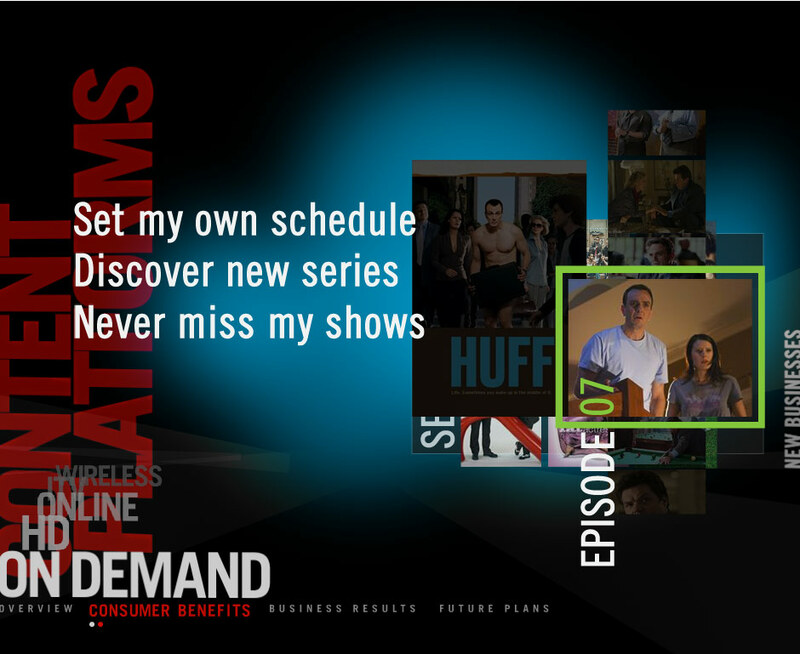 I created a content strategy and navigation structure that was then layed out in a dimensional presentation space. 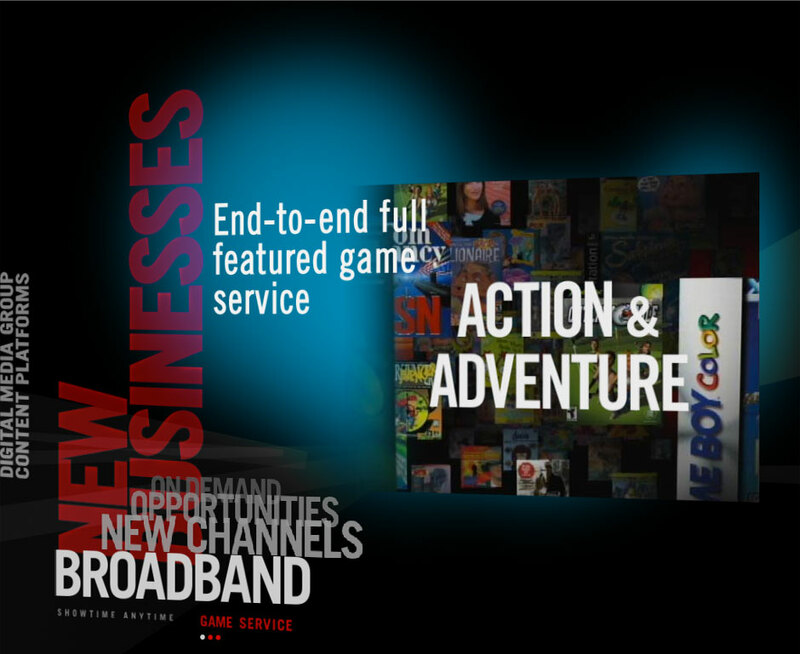 The information, graphics and video features would transition in and out of the frame alongside a blend of 2D and 3D navigation elements.